The Rebs will play a concert at the very classy Ruby Lounge, Bond Street Wellington, on 21 November from 4 – 7 pm. This will be a civilized Sunday afternoon/evening at this lovely and intimate venue. Come along for a drink (or 4), have a nice Ruby Lounge dinner, and hear a full concert’s worth of Klezmer Rebs music. 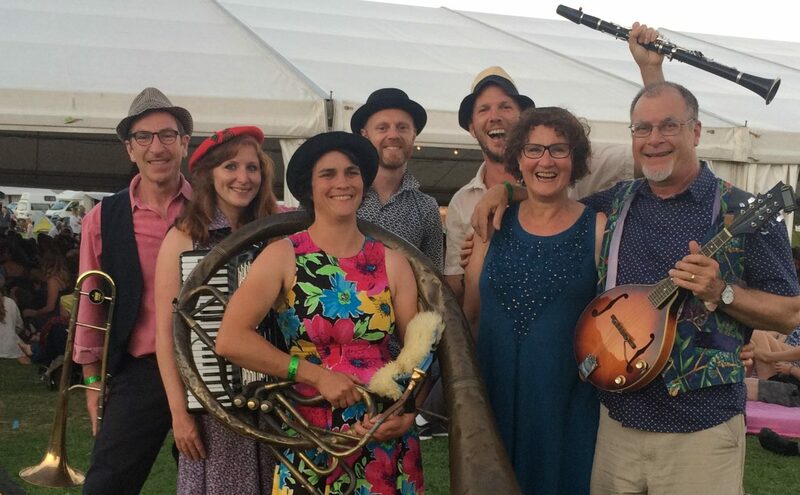 In a unique Wellington arts event, the Klezmer Rebs will perform an intimate concert at the Ruby Lounge, featuring a special set with Raumati author Lynn Jenner reading poetry accompanied by klezmer music. After the Klezmer Rebs’ first set (around 5.15) you will experience a special artistic partnership featuring the poetry of Lynn Jenner, from her award-winning book Dear Sweet Harry. Lynn’s poems introduce you to Harry Houdini, the world’s greatest ever escapologist, and Mata Hari, a woman who did not so much dance as slowly and gracefully take off her clothes. The musical accompaniment is pushy, poignant, sweet and sad and hopeful, just like Houdini and Mata Hari, and it travels around the world just as they did. This is the kind of show the Rebs love to play, as it allows us to stretch out and play our whole range of repertoire, including the soft and sad tunes as well as the tuchass-shaking rebellious ones. We will play a quadroodle (?) of short Hannukah songs, and play live for the first time two new songs we have been working on – one is a yiddish tango and the other a klezmer country swing song. We’re thirlled that Urs Signer will be with us on stage with his soaring clarinet solos, and even helicon player Amanda from Gisborne (and her hubby soundman Alexis) will be with us to make the Rebs complete and give us a great bottom end!